Learn MVC Step by Step or ASP.NET MVC Step by Step - MVC stands for Model, View and Controller and it was started as architectural design pattern. It does the division of a web application project into interactively connected three parts also referred as three-tier architecture given as proposed solution to existing two-tier architecture. MVC do the work of defining web applications with 3 logical layers where "Model" represents "Business Layer", "View" does the work displaying and "Controller" serves as input controller. "Model" is the one which has and shows the specific state of the application. Now moving to the next part "Controller" it controls the interacting and do proper amendment accordingly of the "Model" to reflect correct change in specific state of the application, and then pass on detailing to the "View" part. A "View" accepts necessary information from the "Controller" and delivers that to UI(client) in order to display that detailed facts. 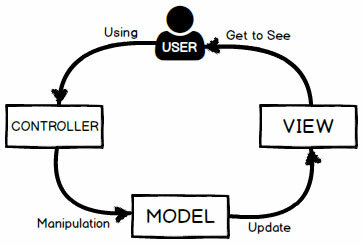 Following is the image snapshot which depicts the cycle of MVC(Model, View and Controller). This architecture design pattern of MVC(Model, View and Controller)has become very popular among the developers for designing web based applications projects for mobile phones, desktops, tablets and other clients based system. Initially it was developed for only desktop computing. A "Model" helps to stores data that gets fetched in accordance to commands from the controller and become visible in the "View". A "View" provokes new output to be viewed by user and it will be based on changes done in the "Model". A "Controller" does the work of sending instructs to the "Model" to get updated state of "Model" for example doing an edit of document. Apart from this, it can also tell to its interconnected "View" to change the "View" presentation of the "Model" like for example is moving of document, document scrolling up/down. 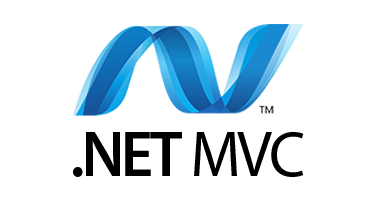 ASP.NET MVC possess decoupling architecture, each of its various components like Model, View or Controller work in a decoupled manner of an application. And due to that coders are able to do their work into simultaneous mode on separate components without affecting one or another. Consider an example of development team working as front-end(server side)coders and back-end(client side) coders. The back-end coder's works on business execution logic also do structural of data and how the user interacts with it without requiring the user interface to be completed. While on the other way round, the front-end coder's can concentrate on their design part and can also do the testing of client side layout of the software application even before the presence of structural data. Always working in such a manner where considering reusability is great idea with that you save time, man power and their efforts. By developing components which are independent of each another, coder readily is able to make reuse of components in quick and easy manner into other applications. If we consider an example then same or look-alike "View" for one of the application can be redesigned or structured for making use it in another application with other data. This becomes possible because the "View" is only meant for handling and is concerned with only displaying data to the user. Hope that you're good time in learning MVC Step By Step architecture pattern and clearly understood working MVC 5 Step By Step as explained above. If you wish to learn more on MVC 5 project we suggest you to attend offline hands-on training held at Mumbai center. 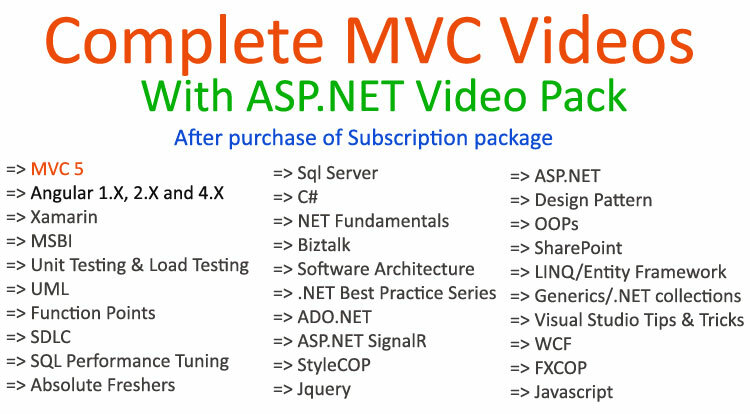 This training is especially for the person who wants to upgrade from ASP.NET to and learn MVC or their company wants an individual to work on MVC project. On daily basis do not have time to learn and do practicals to the point which work for them effectively to accomplish their task. This training will definitely will work for them along with support even after the training is finished through email and Telegram's MVC Mumbai group. For complete training syllabus and other more training details feel free to contact us.